This beauty resides in LamCaf. 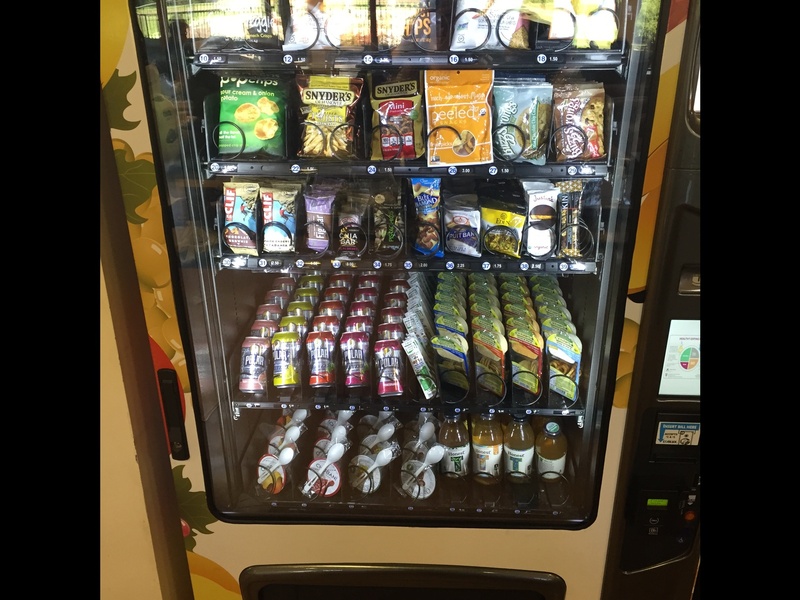 Vending machines are an untapped resource on campus; snacks range from organic peeled mango slices, to white cheddar popcorn, to Justin’s dark chocolate peanut butter cups. If you haven’t stopped by a machine recently, you’re missing some real gourmet treats. Some of the vending machines in freshman dorms even include underwear for the freshmen that still can’t figure out how to do their laundry. You might even say that Harvard’s vending machines have more options than the salad bar at Annenberg. 1) Vegan Bites: Buy yourself some Eat Smart Veggie Chips and humus, fresh and available in your local vending machine. Using a knife, spread humus over a veggie chip and place another one on top to make mini-sandwiches. This combination is not only delightful and creative, but also low calorie– perfect for those who are trying to avoid the dreaded freshman fifteen. 2) “Treat yo self” Trail-Mix: All you need is a Nature Valley Granola Bar, M&Ms, and Ruger Vanilla Wafers. First, crumble the Granola Bar by smacking it repeatedly against a hard surface (It’s true, this recipe has caused injuries before, but it’s to die for). Proceed to pour the crumbled granola bar into a bowl along with the M&Ms and the wafers and voila, you have magical goodness.